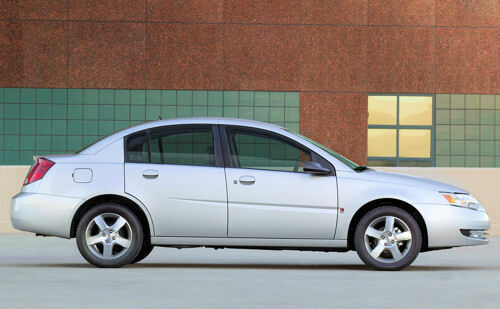 In addition to 2005-2007 Chevrolet Cobalts and Pontiac G5 and Pontiac Pursuit sold in Canada only, GM is separately recalling 2003-2007 Saturn Ions, 2006-2007 Chevrolet HHRs, and 2006-2007 Pontiac Solstice and 2007 Saturn Sky models. The affected U.S. vehicle population, including those vehicles recalled February 13th, totals 1,367,146. This expanded vehicle population raises the number of reported incidents involving frontal crashes, in which the recall condition may have caused or contributed to the non-deployment of the frontal airbags, to 31 involving 13 front-seat fatalities. As part of the recall, GM is taking steps to address customer concerns and working with its suppliers to increase parts production and accelerate availability. GM will notify all affected customers that in addition to recalling their vehicles and performing repairs at no charge to them, GM and its dealers will work with customers on an individual, case-by-case basis to minimize inconvenience associated with the recall. GM is recalling these vehicles because the ignition switch torque performance may not meet GM specifications. If the torque performance is not to specification, and the key ring is carrying added weight or the vehicle goes off road or experiences some other jarring event, the ignition switch may inadvertently be moved out of the "run" position. The timing of the key movement out of the "run" position, relative to the activation of the sensing algorithm of the crash event, may result in the airbags not deploying, increasing the potential for occupant injury in certain kinds of crashes. Dealers will replace the ignition switch to prevent the unintentional or inadvertent key movement. Until this correction is performed, customers should use only the ignition key with nothing else on the key ring. The steps leading up to this recall have not been without controversy. You can read more about the ongoing investigations on the GMBeat.com Recall page.